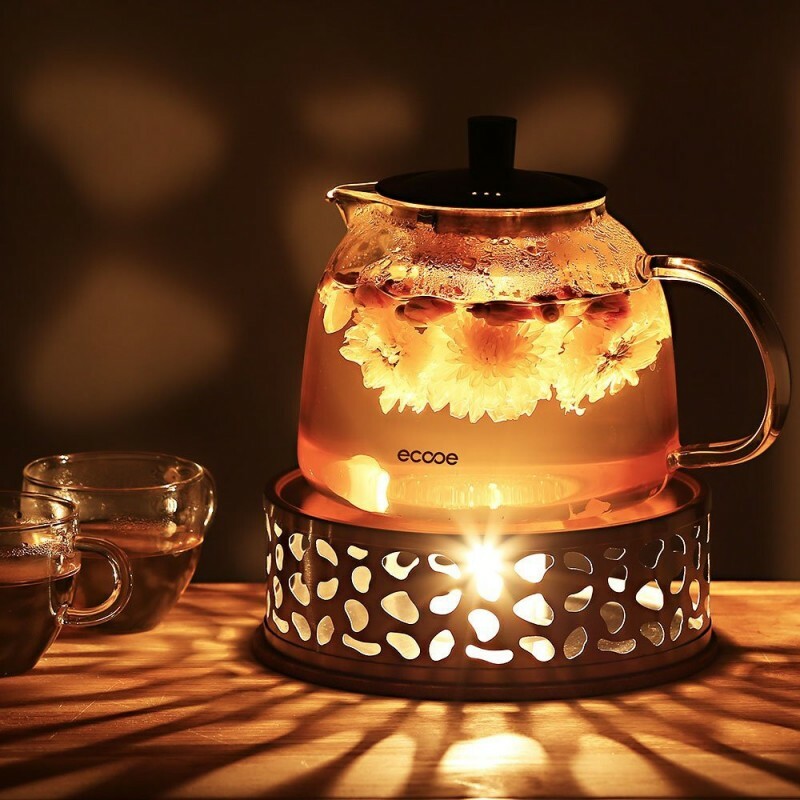 Keeps your tea warm and always ready to serve. 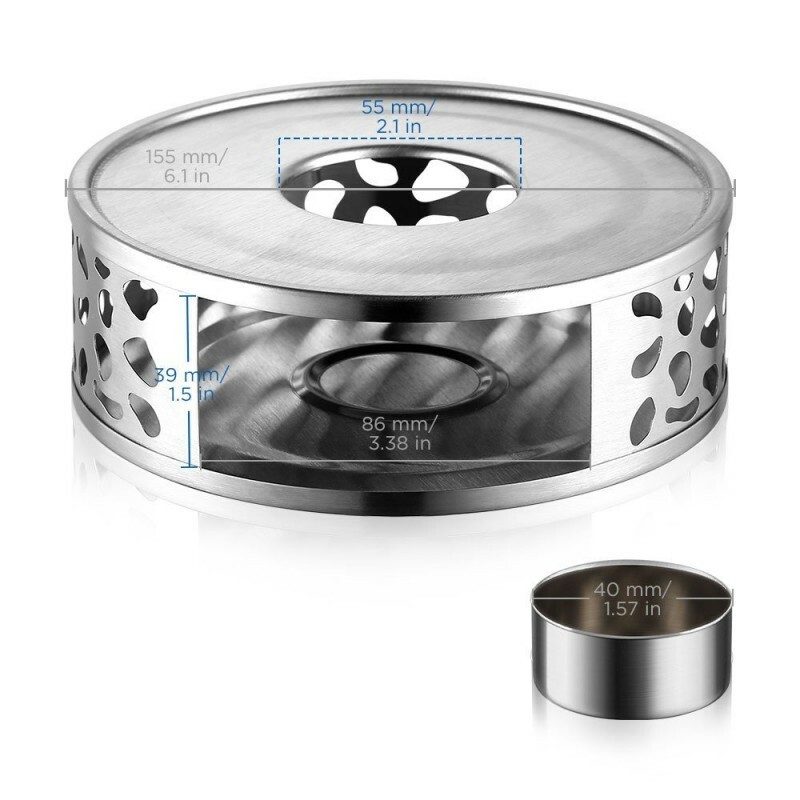 Featuring refined craftsmanship, superb welding, and nice finish, this stainless steel warmer base is sure to be a great tea companion for many years to come. 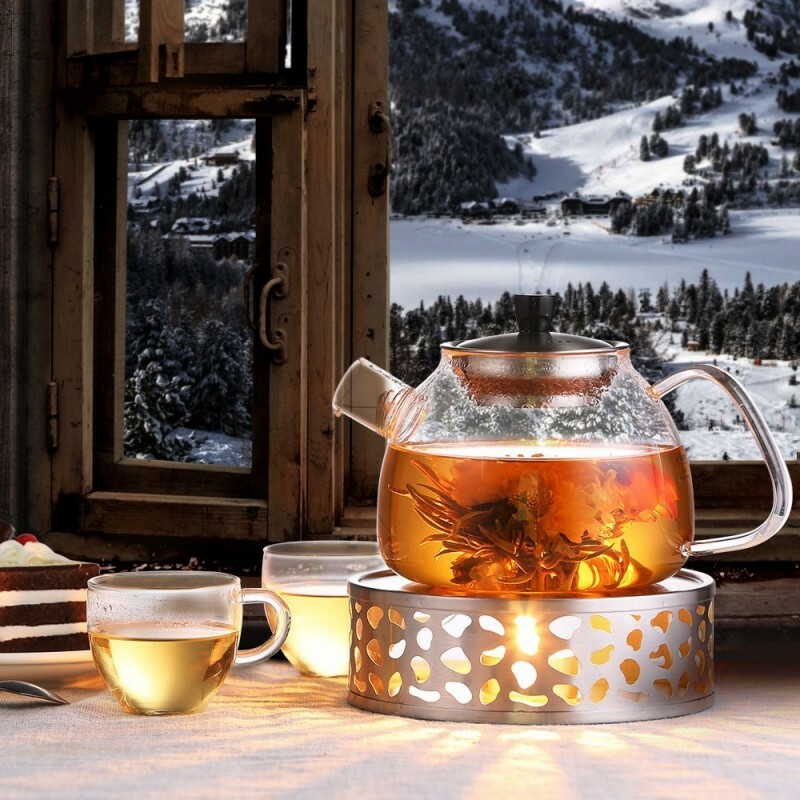 The tealight provides a perfect temperature for your tea or coffee, and keeps them warm whenever you want to drink or serve. The hollow frame of the warmer base casts such a gorgeous light when lit up. 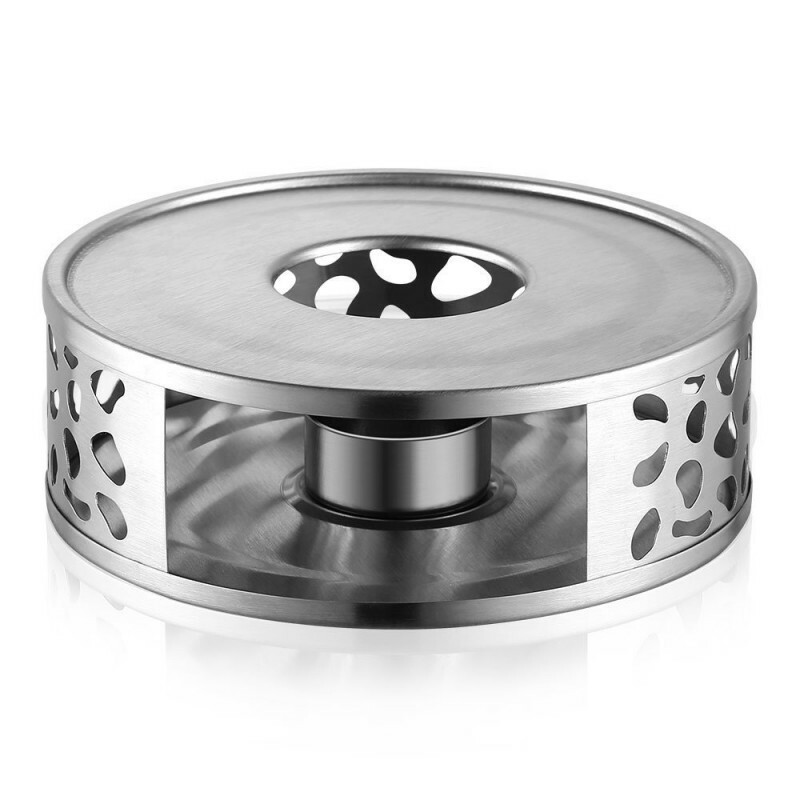 Quality stainless steel presents an elegant and simplistic design, and goes with any decor. 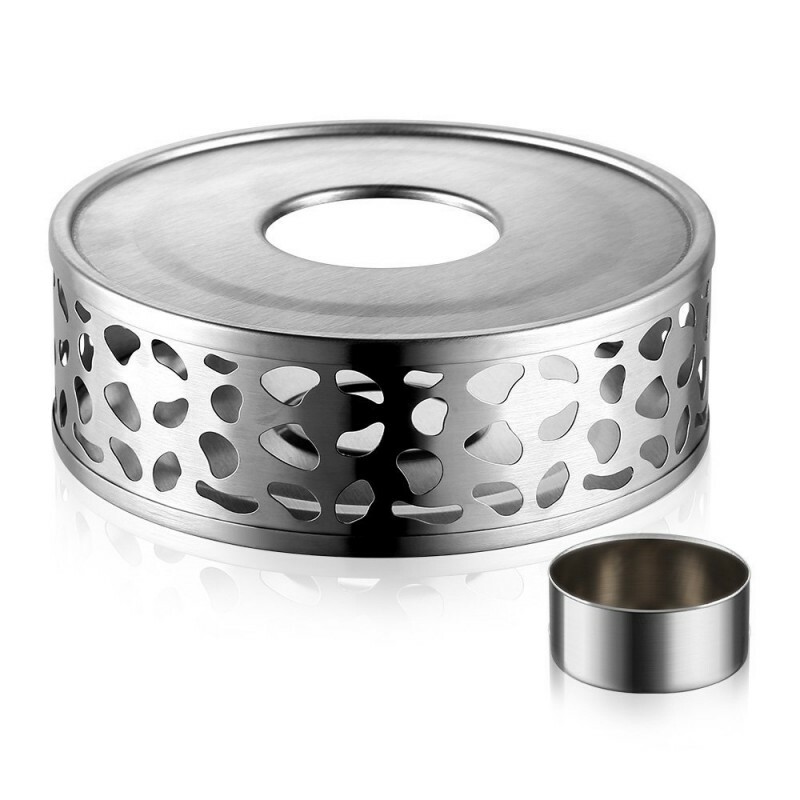 Nice product, well made and even has a little holder for the tea lights.